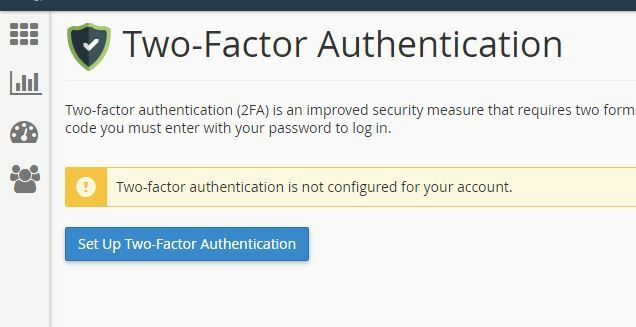 In this guide you will learn how to setup two-factor authentication (2FA) in cPanel. Step 1. Login to cPanel and select “Two-Factor Authentication icon” under the Security tab. Step 3. Use your Authenticator app to scan the QR code. Step 4. After scanning you will be presented with a 6 digit code. Step 5. Enter this code and click “Configure Two-Factor Authentication” button. To further secure your cPanel account, you can use the Two-Factor Authentication options available within cPanel. This guide will show you how to setup and configure Two-Factor Authentication. First, you’ll need to log into your cPanel account and locate the Two-Factor Authentication icon found under the Security tab. 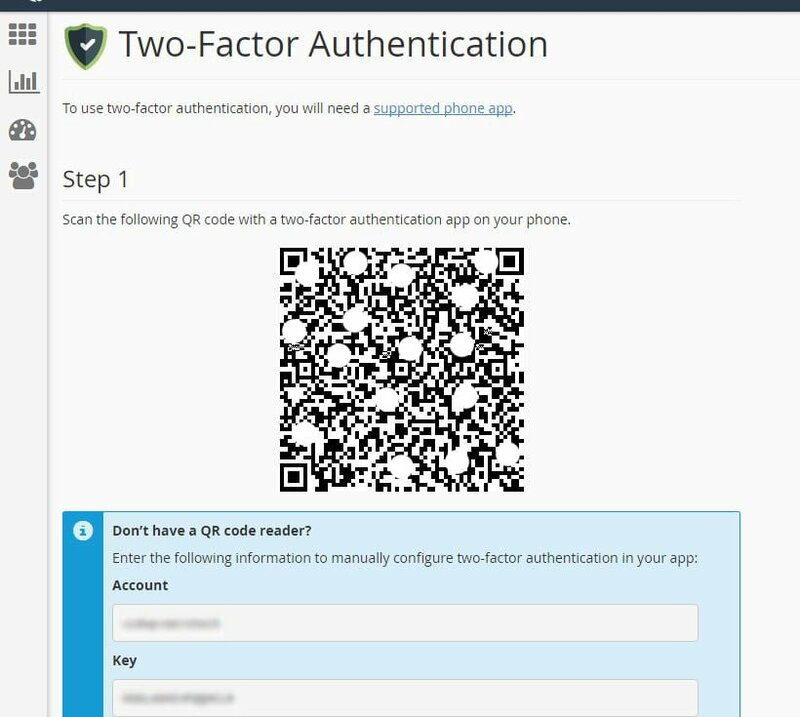 Once you’ve clicked on the Two-Factor Authentication icon, you’ll see the configuration screen as shown below. You’ll then click the blue button titled Set Up Two-Factor Authentication. On the next screen you will be presented with a few options. The easiest is to use the QR code with a QR code scanning application. If you don’t have a QR code scanner, you can simply enter in the Account & Key shown below the QR code. Please note: we provide limited & best effort support for the applications listed above. You would need to work with the application vendor in the event of application errors. Once you have scanned the QR code OR entered in the account & key, your authenticator on your device will provide you with a 6 digit code. You will need to enter this code and click Configure Two-Factor Authentication before the code expires. Once you have clicked the button shown above, your Two-Factor Authentication should now be configured. 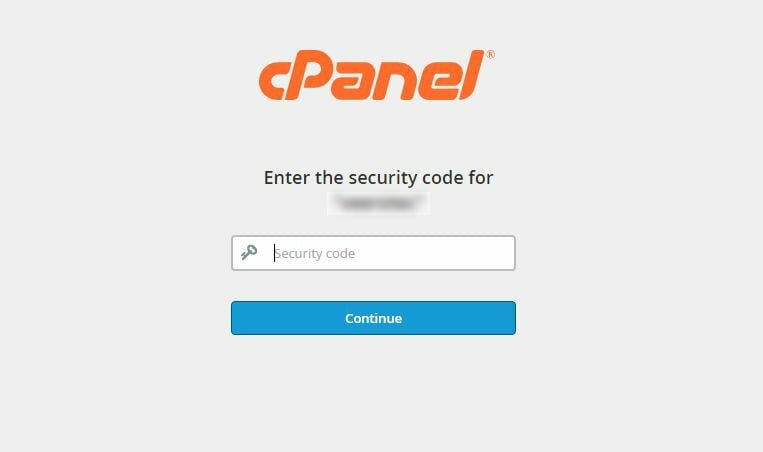 The next time you proceed to log into cPanel you should be prompted to enter a code from your device after entering your cPanel username and password as shown below. If the steps above listed in this article do not resolve your issue, please feel free to open a support ticket and we’d be happy to take a look.